Ahhh, paisley. There’s something comforting about this pattern to me even though its appearance on runways is fresh and exciting in its reincarnated state. Perhaps it’s comforting because it made such a statement in the 60’s (and before that in the late 1800’s) and its comeback reminds me of pictures of my Mom from that era (the 60’s, not the 1800’s) wearing wild prints and wide-legged pants and jumpsuits. Either way, it’s a happy print. And it’s back. And it’s big. And beautiful. And it comes in many forms this season from the classy lace paisley top below, to increasingly vibrant and multi-coloured varieties reminiscent of the more psychedelic Beattle’s-crazed days. Above Naeem Khan has his models strut his gorgeous version of paisley on his catwalk from spring/summer through to fall 2012. While with his typical vibrant patterns, Emilio Pucci brings paisley back in a big way in his spring/summer collection below. Many of Australian designer Camilla Franks‘ Kaftans also feature a paisley pattern. And of course you can bring this trend into the home. This lovely colourful paisley bed is made even more dramatic with the complimentary hits of orange. This paisley couch is just so sunny and pretty. And of course if you’d like to make less of a financial commitment to the paisley trend, you can always add a few trusty throw pillows to your existing decor, which looks super chic, as below, paired tone-on-tone with a cow hide for texture. 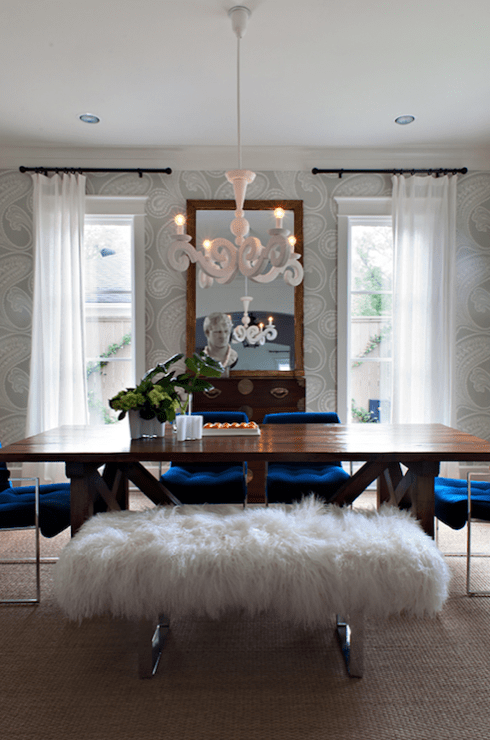 No matter how you wear this trend or bring it into your home, it is statement making. It will show confidence and style if you incorporate updated versions of this classic print. And may even make you a bit nostalgic too. How will you bring this season’s hottest paisley prints into your life? This entry was posted in fashion, prints and tagged camilla franks, emilio pucci, fashion, naeem khan, paisley, paisley print by Earth, Wind & Style. Bookmark the permalink.